Feb. 26, 2018 10:30 p.m.
On a night when they honoured their former coach Don Hay prior to puck drop, the Vancouver Giants took a big step towards making a return to the Western Hockey League playoffs. Very classy of @WHLGiants for recognizing Head Coach Don Hay becoming the Winningest Coach in WHL History. 401 wins came in 10 seasons with the Giants. Hay is the WHL’s winningest coach with 747 victories — 401 of those were with Vancouver — was behind the Giants bench in 2013/14 for Vancouver’s last playoff appearance. But following that post-season, he left Vancouver to return to where he began his coaching career, with the Kamloops Blazers. And on Monday night, the Giants dealt Hay and his struggling Kamloops squad another blow in their diminishing playoff dreams. 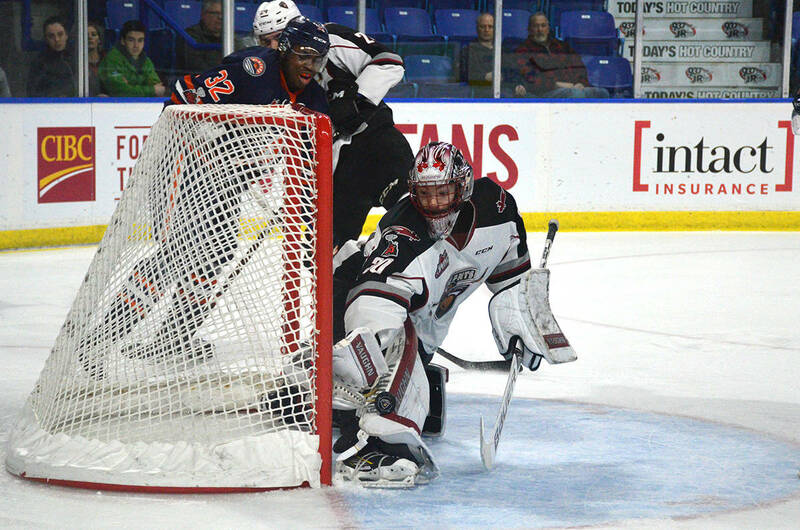 Jared Dmytriw’s second period power-play goal was all the offence the Giants needed as David Tendeck stopped 24 shots in a 2-0 Vancouver victory at the Langley Events Centre. Vancouver captain Tyler Benson sealed the deal with an empty-net goal as time expired. The win snapped a three-game Giants losing streak and improved the team to 32-21-5-3 and 72 points, good for third place in the B.C. Division. 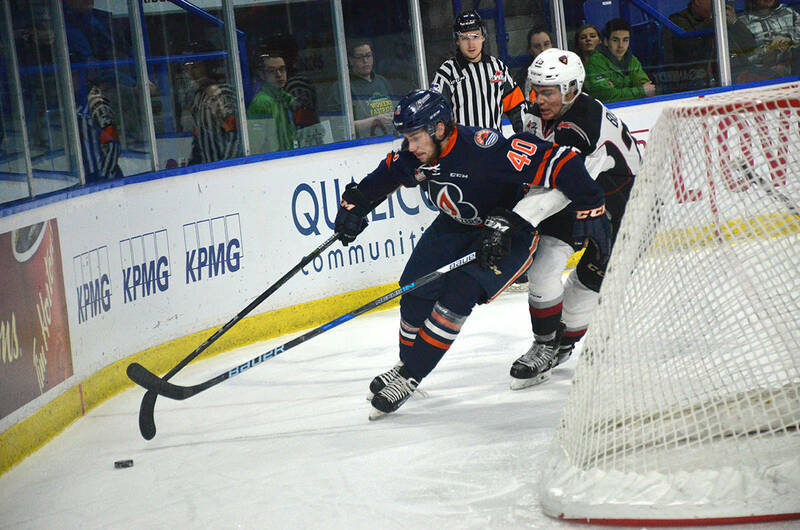 Kamloops fell to 27-32-1-4 and with 59 points, the most they could get is 75 points. The Blazers are also six points behind Seattle for the second wild-card spot in the Western Conference, but the Thunderbirds hold three games in hand. Neither team scored in the opening 20 minutes but just midway past the game’s half-way point, the Giants finally capitalized on their fourth power play opportunity. Dawson Holt made a beautiful cross-ice pass to Dmytriw, who beat Dylan Ferguson between the legs to open the scoring. The goal came at the 13:50 mark. “We weren’t quite getting it there at the start and we were getting frustrated because we have been working on our power play at practice,” Dmytriw said of the team’s man-advantage struggles as their passes seemed to be slightly off the mark, resulting in numerous pucks escaping the zone. The goal capped off a good second period which saw Vancouver surrender just three shots on goal. The Blazers came out strong in the third, ramping up the physicality, and forcing turnovers and numerous icing calls against the Giants. They finished the period with 11 shots, but whenever they pressed, Tendeck was there to make the stop. “Couple of big saves at the end and that was the difference right there,” McKee said. With the victory, he also improved his goals against average to 2.80, which is tied for second in the WHL, and his save percentage to .918, which is also second. Vancouver’s efforts were aided by the fact they took no penalties. “That was a huge message at the start of the game, that is we were going to take a penalty, it was going to be because of taking a scoring chance away, not undisciplined or lazy hooking,” the coach said. The victory kicks off a busy stretch for the Giants, who could clinch a playoff spot this week. 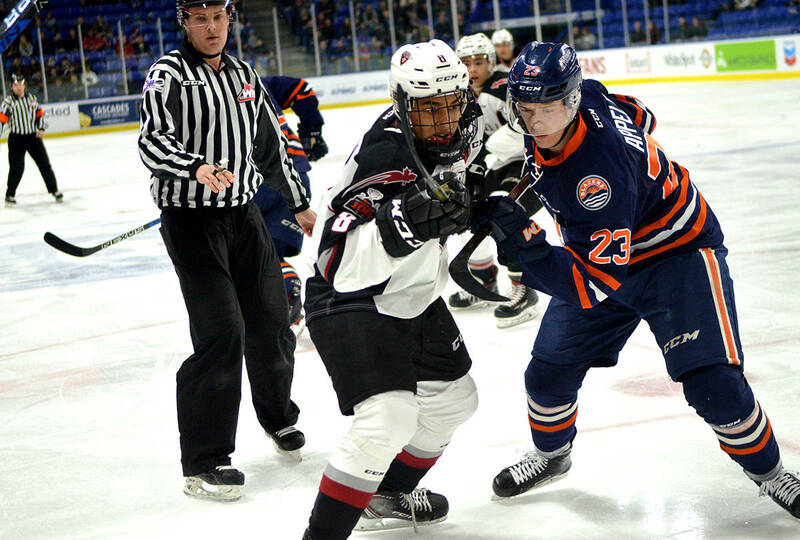 The team is in Seattle on Feb. 27 and Kamloops plays at Victoria the following night. 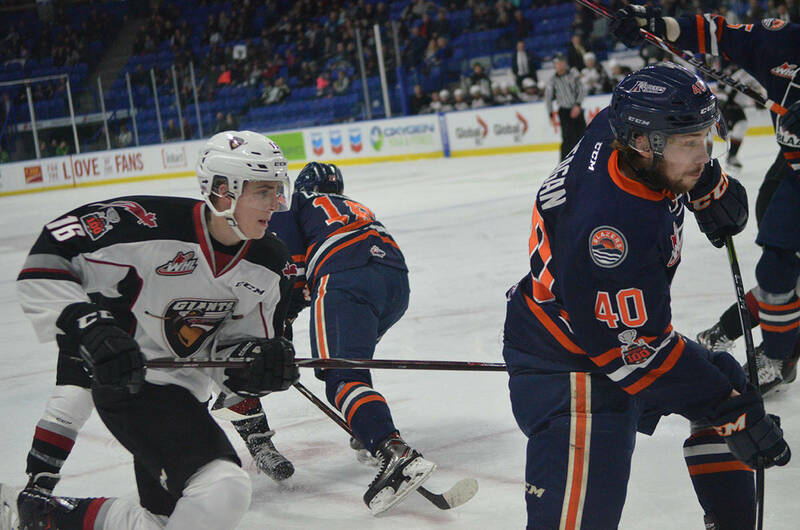 The Giants and Blazers then play a home-and-home series Friday in Kamloops and Saturday back at the LEC. 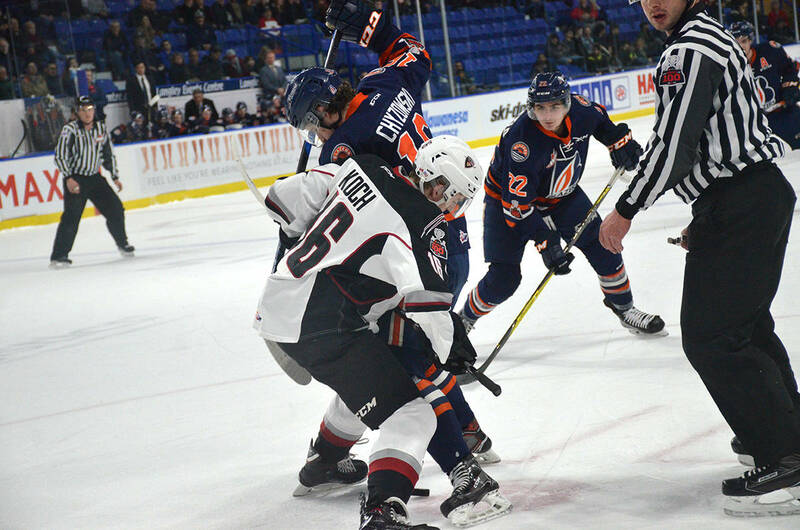 Vancouver caps off a busy stretch of five games in seven days with a Sunday matinee again at the LEC. Vancouver is just three points back of Victoria for second place and the Giants do hold a pair of games in hand.